The majority of all gutter guard purchased in America is bought and resold by gutter installer companies. 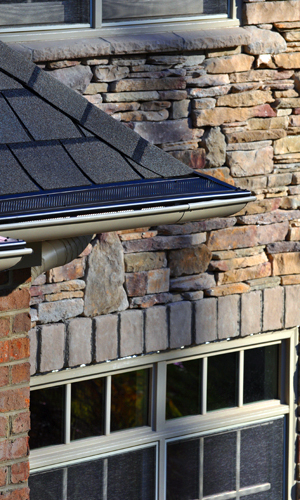 Gutter installation professionals are in need of an affordable product that is easy to service and will not haunt them in later years with expensive unanticipated maintenance calls. As industry professionals know, all gutter guards eventually require service. Why not tell your customers this going in, ask what level of warranty coverage they desire and charge them accordingly? Surely a customer planning to retire and remain in their home would expect to pay more for lifetime warranty coverage than someone intending to sell their home within five years. Adjusting prices to compensate for future service visits is straightforward for the customer and the gutter service provider alike, as it protects each party against the costs of future maintenance needs. Service calls can be scheduled at three-to-four-year intervals, depending on tree density. There are some customers who may choose not to purchase a warranty, preferring to service it themselves. That saves them money but puts the burden of maintenance on them. If they later wish to have their guards serviced, a one-time fee or warranty upgrade is an option. 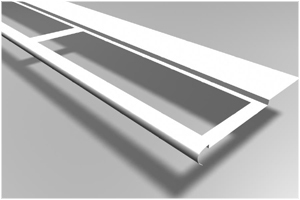 The Plalanx® feature that makes this possible is the service tray located on top of the guard. It is approximately 3.5″ wide and can be easily removed, allowing access to the interior without removing and reinstalling the whole guard. This unique design concept is formulated around this service port to make long-term maintenance quick and easy. 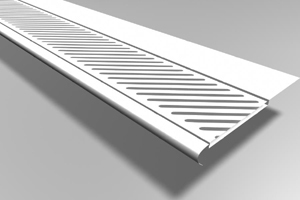 All gutter guard systems eventually need maintenance. The size, volume and regularity of the debris from trees can penetrate any screen or shield. 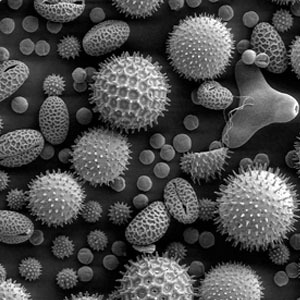 Pollen is from 3 micrometers to 200 microns in size. Algae and mildew are even smaller and grow inside the gutter. Some pine trees release pollen flowers by the millions that break down into tiny nodes. Asphalt shingles break down over time releasing small granular stones and black powdery asphalt. Oak trees drop a stringy tassel that will cling to anything. Pine needles are the most prolific, and small sticks, maple tree helicopter seed pods and bird droppings present other problems. If a guard were invented to stop all this it would itself clog from the paste-like consistency this combination creates. Gutters are exposed to the worst weather extremes, from blistering 130 degree shingle temperatures in mid-summer, to freezing winter ice and snow, and all the while, decomposing debris inside the gutter is becoming a black mud that will clog downspouts and underground run-off pipes. 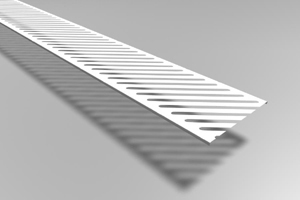 Rigid 0.032 thickness all-aluminum construction. Available in either copper or aluminum. © 2019 Phalanx Gutter Guard | All rights reserved.